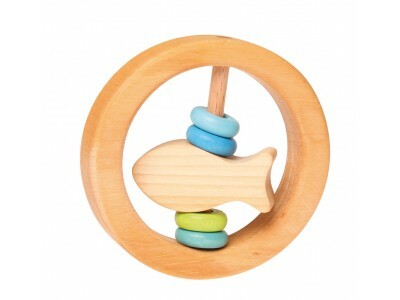 Rattle Little Fish, with wooden coloured discs in green and blue. 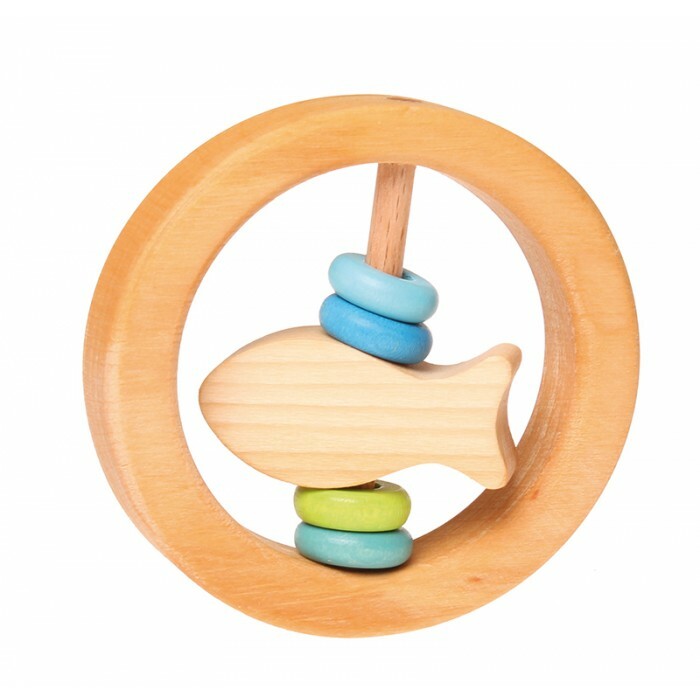 Materials: made from alder and lime wood, non-toxic plant based oil finish. Beads: maple wood, non-toxic water based color stain.